We are reaching out to our community because we need your support! The Dojo has become a home to many artists, teachers, students, and community organizations over the past few years, and the wonderful things happening in the space have inspired us to dream even bigger. We are excited about reaching and impacting as many peoples' lives as possible by expanding programs and public accessability to the studio for dance classescompetitions, charity events, and performances of all kinds. Lois Trombley, Swan Dojo Owner, was offered an opportunity to take over the space 3 years ago. Though a highly accomplished career dancer/instructor, she had no business training or savings, but took on the incredible opportunity with full force. 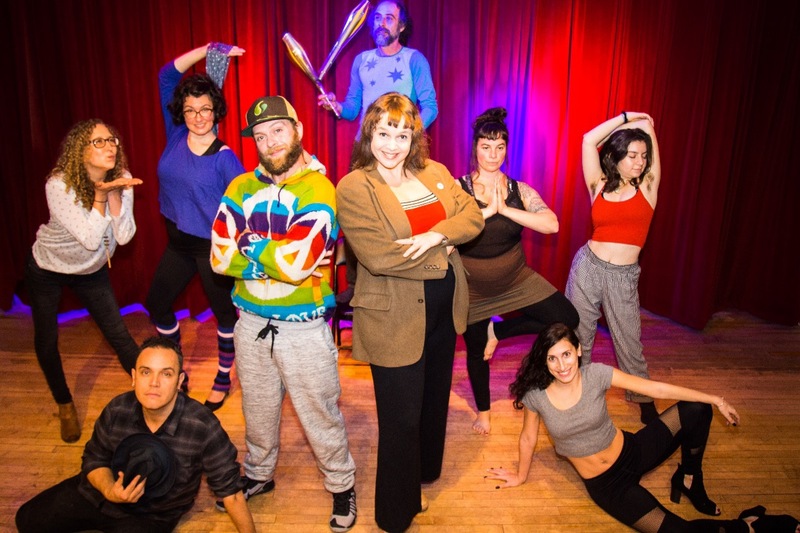 Serving as a headquarters for her annual Spielpalast Cabaret show and dance company Laisse Tomber, classes in hip hop, jazz, and musical theater are also taught by Lois at the Dojo. She teaches for many Vermont schools and organizations as well, including the Flynn Center for performing arts and the University of Vermont. Steve "Wish" Shannon, a professional hip hop/break dancer & VT native, joined Swan Dojo's team in the Spring of 2016. Recently having moved back to VT after years of touring and performing, he began teaching and holding open practices at the Dojo. Having been a guest teaching artist in dance programs across the state for nearly a decade (including Lyndon Institute, Lamoille Union, and numerous middle schools through Blue Cross of Vermont's "Velocity" program), Wish was thrilled to find a home base to build his craft more. Lois & Wish realized very soon after working together that they had the ability to provide meaningful change in the world through their artistic endeavors. As a result of joining forces, Swan Dojo has had the pleasure of welcoming groups such as Ergo Dance Company, Dream City Dance Company, & Rhythm Riders Crew into it's family. Also by partnering with non-profit Friends For A_Dog Foundation and artist group Anthill Collective, the studio has become a staple and epicenter for Vermont's thriving hip hop cultural community. The foundation holds regular planning meetings at the studio, most of which center around providing children with access to arts programs for free. Increase/expand both quantity and variety of dance classes offered. Regularly invite guests artists from outside the region to teach/perform. Provide more local artists, musicians & dancers with an affordable and accessible place to teach, learn, rehearse, perform, and display work. Provide more arts programs to youth in the community FREE of charge. Host regular charity events to benefit those in need in the greater Burlington area. This is a chance to help us make our dreams (of helping OTHERS realize THEIR dreams) come true in a very real way. Words cannot express what your support means to us. The arts have always been an outlet for people to find their power and share their experiences, and we want to contribute as much as we can to allowing these things to flourish. We are beyond grateful, and believe our best way to give thanks it to keep building.